I don't eat turkey on Thanksgiving. I've been a vegetarian since I was 12 years old, well over half my life. I never really liked turkey anyways, but there is definitely something missing when you leave it out of the whole Thanksgiving feast. That is how this Unturkey was discovered. My college roommates and I decided to have a completely vegan Thanksgiving one year. One of my roommates found a recipe from an Indian mom who wanted to make something so her children wouldn't feel left out without turkey. Well that was over 10 years ago, and an adaptation of that recipe has become a family tradition. Even the carnivore Captain requests it. 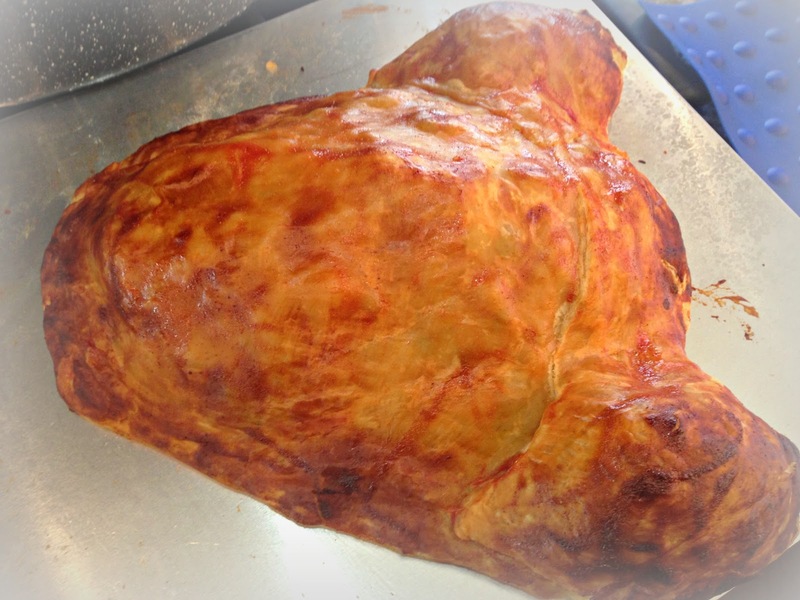 Here's how to make your own Unturkey. 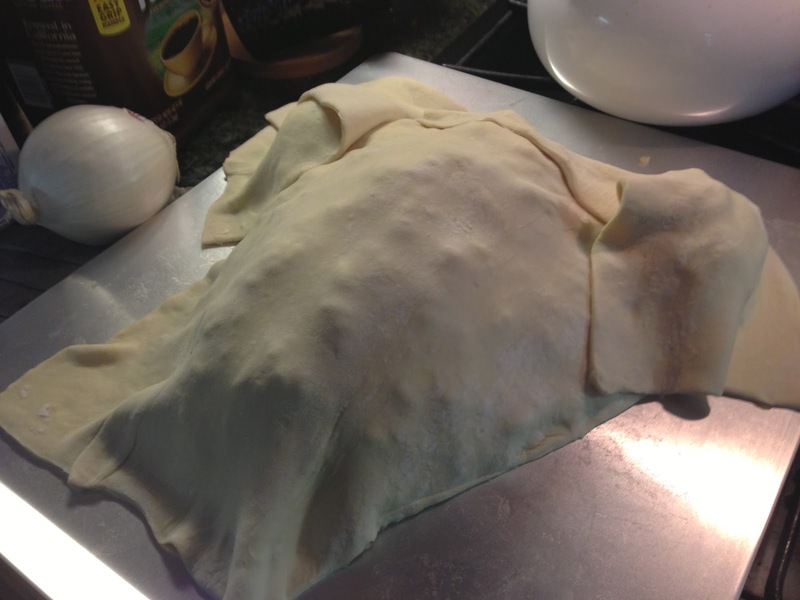 Start off by pulling the puff pastry out of the freezer to thaw. You can thaw it in the fridge overnight, or thaw it on the counter in a couple of hours. Next, start the rice by boiling the recommended amount of water in a small saucepan. 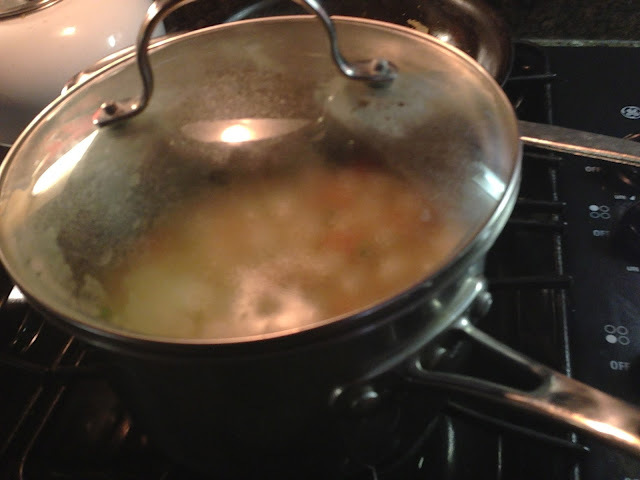 Heat the olive oil in a large saucepan on the stove over medium heat. Then add the jar of chutney. 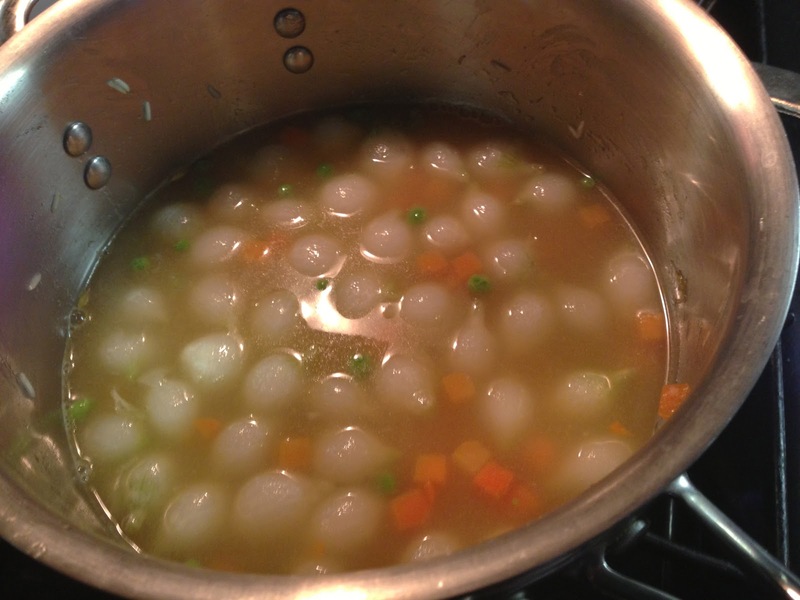 Stir it around and smash any big chunks with a spoon. 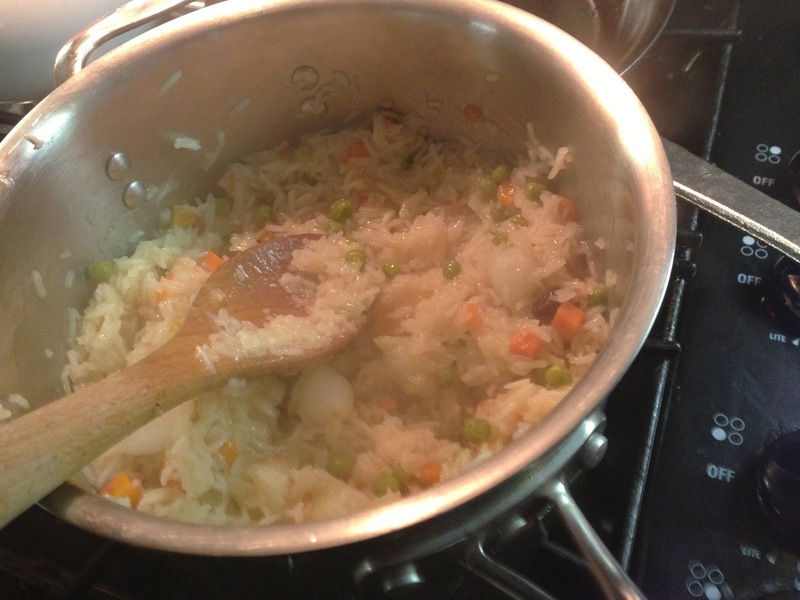 Once it has cooked for about 1-2 minutes, add in the rice. Stir to coat and cook another 4-5 minutes. 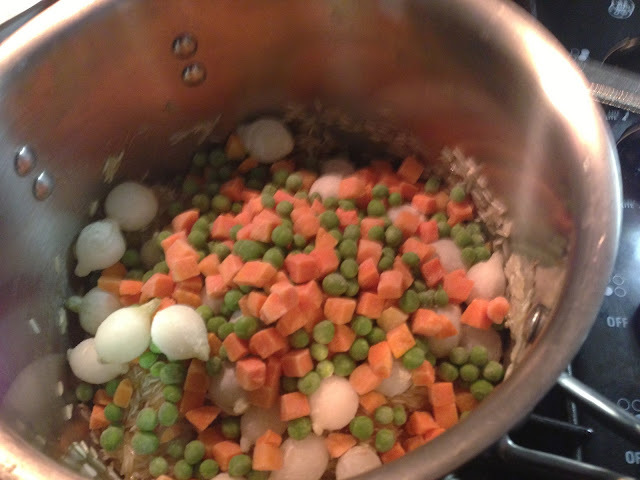 Now add the frozen vegetables, more if you like them, less if you don't, and then add the boiling water. Cover and cook the rice according to the package instructions. 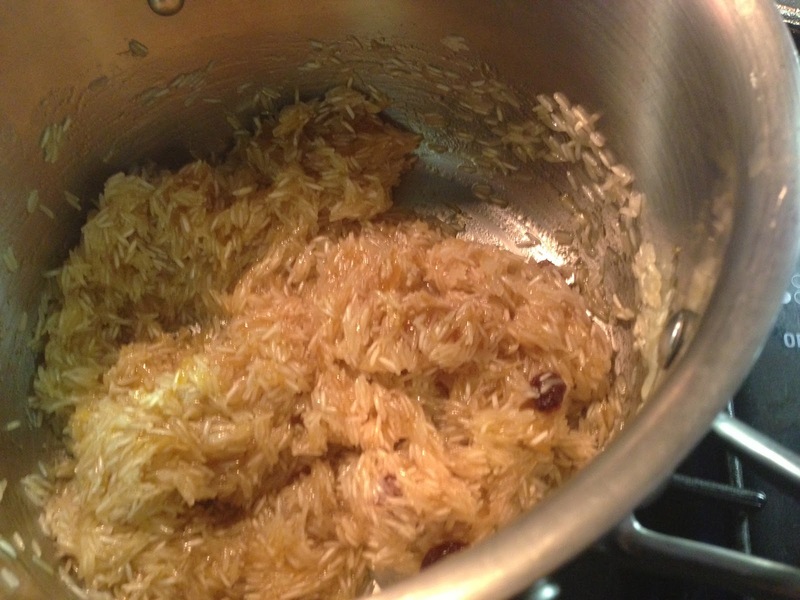 Once the rice is done, fluff with a fork and dump onto a cookie sheet. 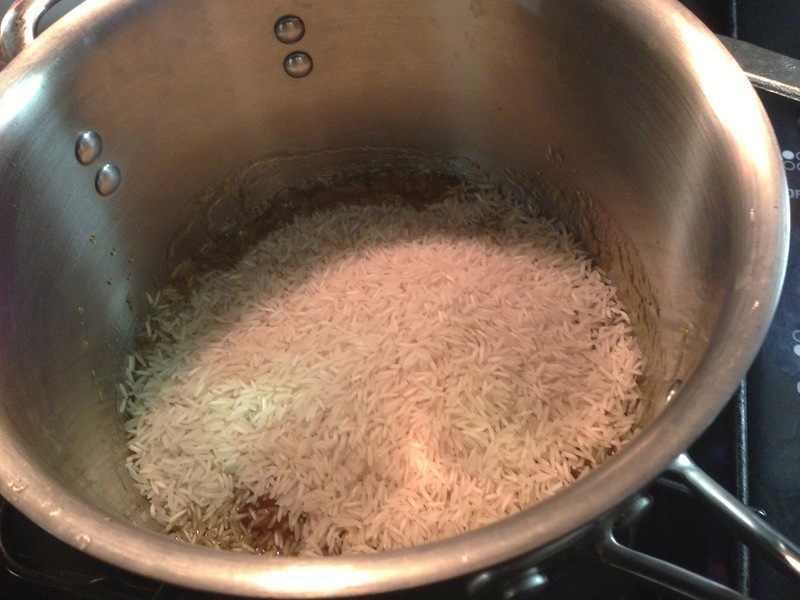 Allow the rice to cool until you can handle it with your bare hands. Now is the fun part. 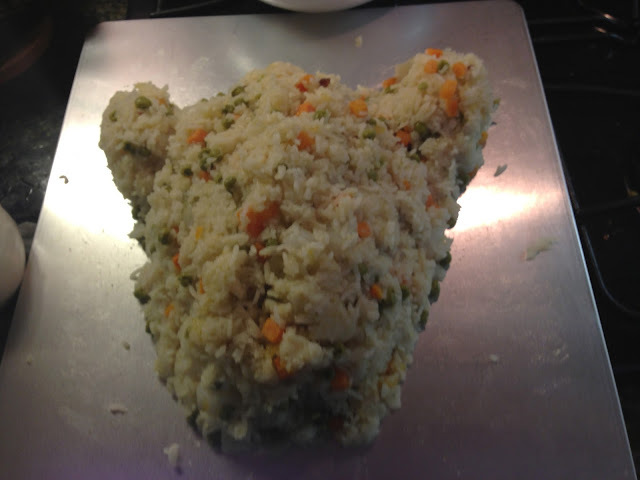 Shape the rice in to your turkey shape. Start with a large oval mound. Then create the drumsticks. If the rice is sticking to your hands, just wet them a little. 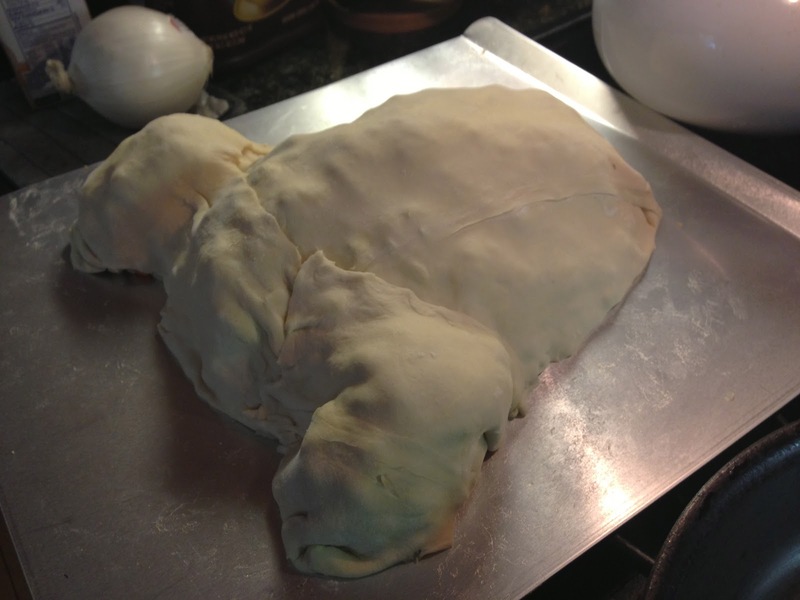 Once your faux bird has it's shape you can start to give it "skin." Lay your puff pastry out on a lightly floured surface and roll until it is just large enough to cover the Unturkey. Now drape it over the rice sculpture and press it around the shape. 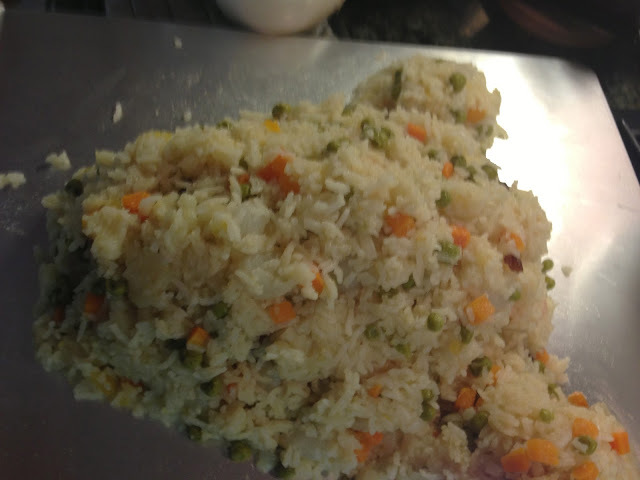 Be sure all the rice is covered and trim any excess. 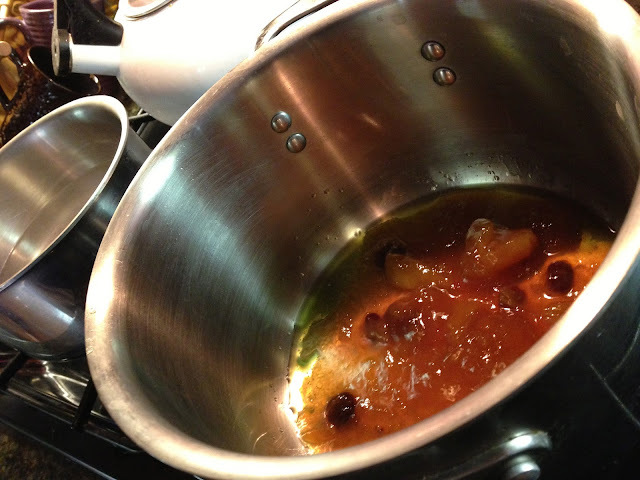 Finally, prepare the basting mixture. In a small bowl combine ketchup, water and cumin. It should be thinner than ketchup consistency, but still thick enough to coat the "bird" and not run off the sides. 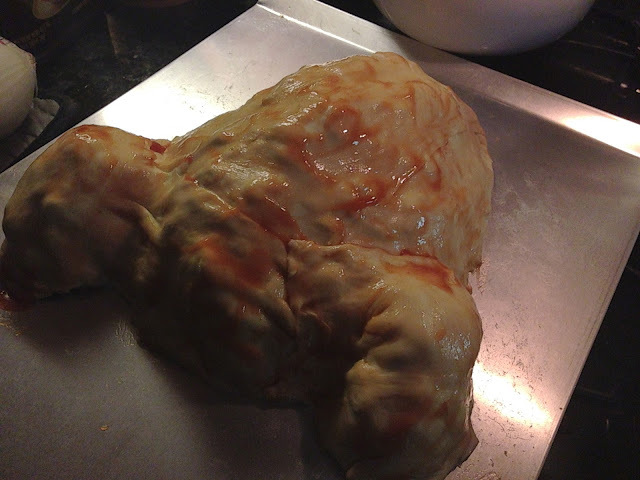 Place into a 375 degree oven and bake for 45 minutes, basting every 10-15 minutes or so. Do not baste at the end. The "skin" should be a golden to dark brown hue and it won't be completely crispy. Show off your carcass free creation and carve it up.